Died: 10th January 1916; age 29. 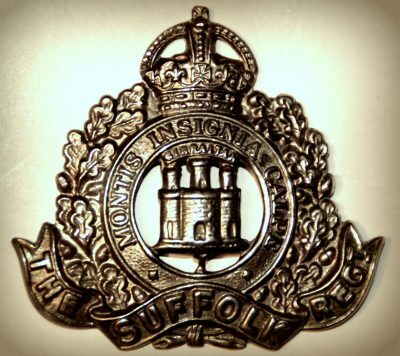 Relatives Notified & Address: Son of Louise Fenhey (formerly Harding), of 117, Rectory Road, Ipswich & the late James Harding. 1891 7, Rectory Road, Ipswich. James Harding, 41, a Miller’s Carter, born Wilby, Suffolk. Louisa Harding (nee Leggett), 32, born Wickham Skeith, Suffolk. Harvey Harding, 10, born Stutton, Suffolk. Alice Harding, 9, born Stutton. Frank Harding, 6, born Ipswich. 1911 117, Rectory Road, Ipswich. William was 24 years old, a Grinder – Sugar Mill. he was living with his parents & brother. James, 62, Formerly a Miller’s Carter – Invalid. Frank, 26, a Railway Labourer.